As we consider the needs of our children, we celebrate the difference Jesus wants to make in their lives. Every ministry opportunity for children from birth to 6th grade has a unified objective. Our prayer is that every warm embrace, every song and Bible story, and each creative activity works to build a foundation of Biblical truth and encourage a personal relationship with Jesus Christ. Our ministry to families is based on the concept that your child’s first steps to our Lord begin long before the miracle of birth. Supporting and strengthening the fabric of the family becomes a consistent underlying theme through a variety of events, learning programs, and tools as we partner with parents to encourage those first spiritual steps. Our plan is to join with families and provide important resources to reinforce the teaching done during our entrusted time with your children. Our nursery ministry seeks to provide a safe and cheerful atmosphere, caring and capable staff, Bible-based learning activities, as well as age and developmentally appropriate toys and equipment. Toddler Nursery: Available for children ages 2-3 during our Sunday morning service (10 AM). Toddlers can be picked up at the COVkids check-in area at the conclusion of our morning service. Junior Church: Available for children ages 4-Kindergarten during our Sunday morning service (10 AM). Children can be picked up at the COVkids check-in area at the conclusion of our morning service. Our Sunday School ministry offers a fun learning environment on Sunday mornings for children ages 3 years-6th grade. Our goal is to make sure our kids are biblically grounded, seeing God as the hero of every story, with a God-centered world view and an unshakable faith. Sunday School begins at 9:00 AM each week. Check-in begins at our COVkids check-in area 15 minutes prior to the start of Sunday School. You can pick your children up (1st-6th grades) at the COVkids check-in area at 9:50 AM. Bring your child (ages 3 yrs - 6th grade) to our mid-week service and he/she is sure to experience a great time! Through music, video, and interactive activities your child will take a chronological journey through the Bible while being immersed in the Gospel at every turn. Children can be picked up from “The Upper Room” at the conclusion of our mid-week services. 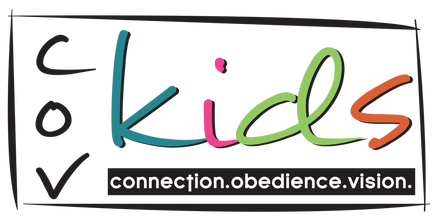 Children’s Summer Camp – A time away for our children to be immersed in God’s Word through age-appropriate Bible study and activities. Vacation Bible School – A week of Bible study based on a theme that makes it fun and ties all the activities of the VBS week together. Other seasonal activities and fun opportunities are planned throughout the year.